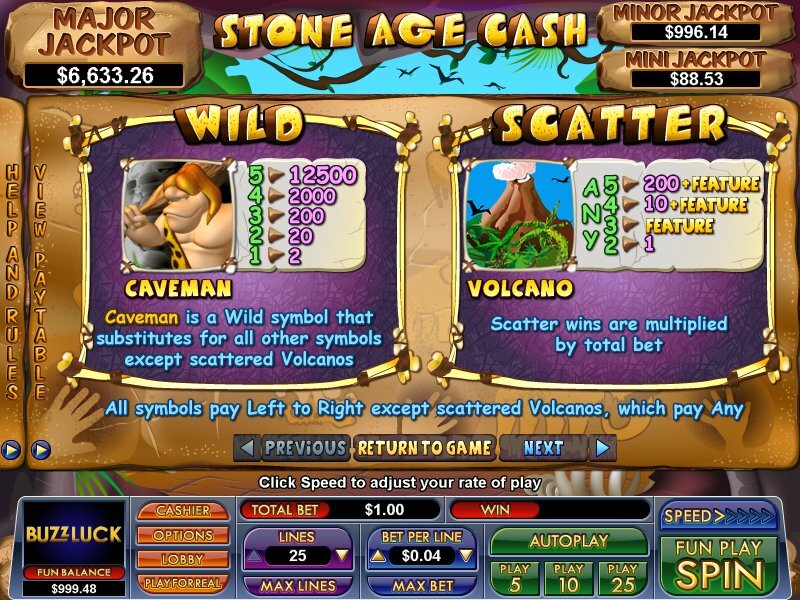 Overview: Release your inner cave man as we take you through the dinosaur ages with this multi-featured cartoon slot, Stone Age Cash. The free games feature has all prizes tripled and the bonus feature includes a rock-smashing display of cavemen strength, awarding bonus prizes of up to 500 times your triggering bet! 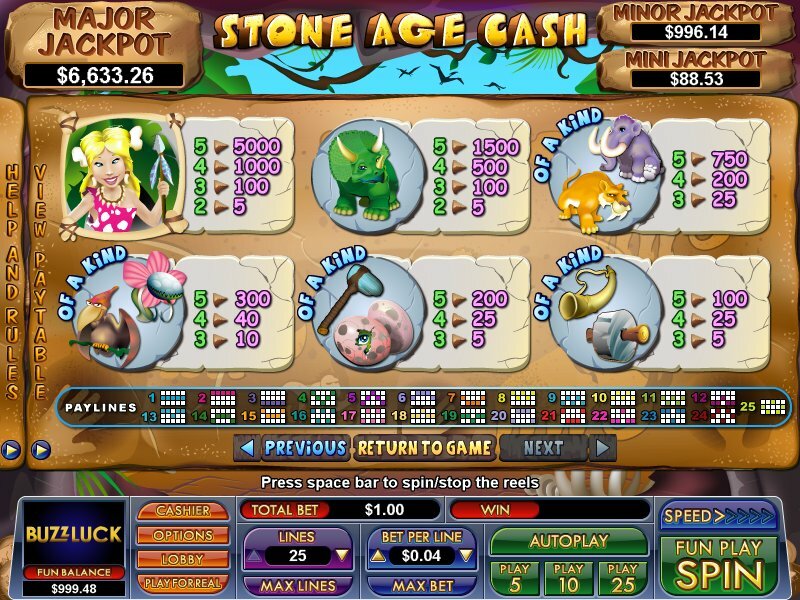 A mini, minor and major random jackpot gives everybody the chance to get in on the prehistoric action. Be quick and dodge the pterodactyls, mastodons and sabre-toothed tigers to claim your share of the prizes! 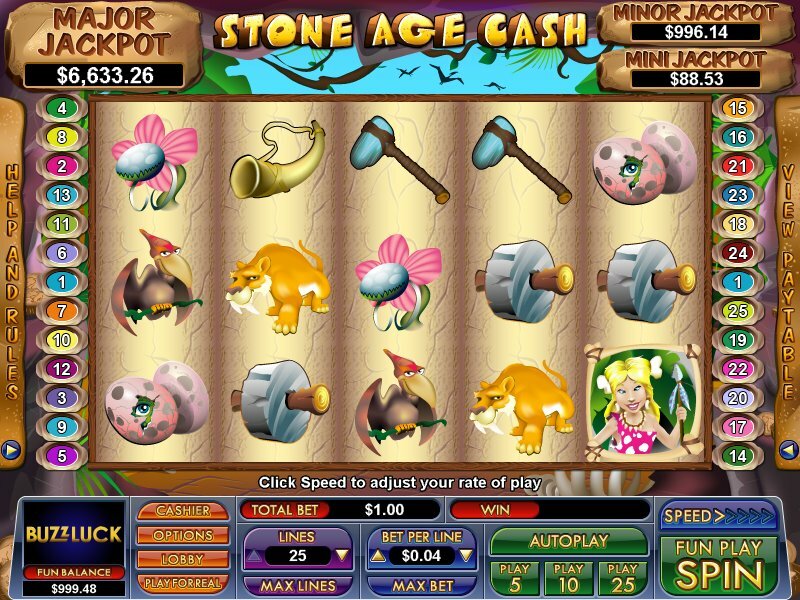 Similar Slots: If you like Stone Age Cash, you might like these other slot machines from NuWorks: Big Rig, Birdy Bucks, Camper's Cash, Duel in the Deep, Monster Millions, The Champ.